Mercedes-Benz Original. Travego 15 RHD Coach.Driver R. Lotter. 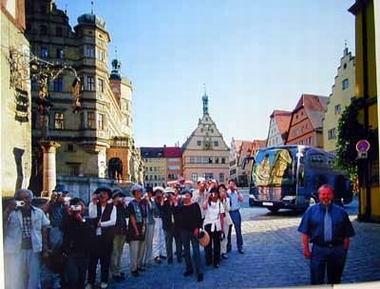 Japanese Visitors from Osaka on Marktplatz Rothenburg o.d.T. Do you have a question concerning our product 'Mercedes-benz Original Travego 15 Rhd' ?